Digital panels, sensors and process controllers. The Red Lion was founded in 1972, with headquarters in York, in the state of Pennsylvania (USA). The company is dedicated to the design and manufacture of digital instrumentation for indication and control, using the most advanced technology as a guarantee of the quality of its products. Red Lion is present in several countries in the Americas, Asia and Europe. In Portugal, Bresimar is one of its authorised distributors. The brand is characterised by its investment in innovation, product reliability and the variety of industries that find in Red Lion a complement to its industrial processes. The brand offers IOT solutions for the oil and gas, energy, transport and other industries. At the level of industrial automation, the company is a good choice if you are looking for controllers and data acquisition, digital panels, as well as sensors and process controllers. 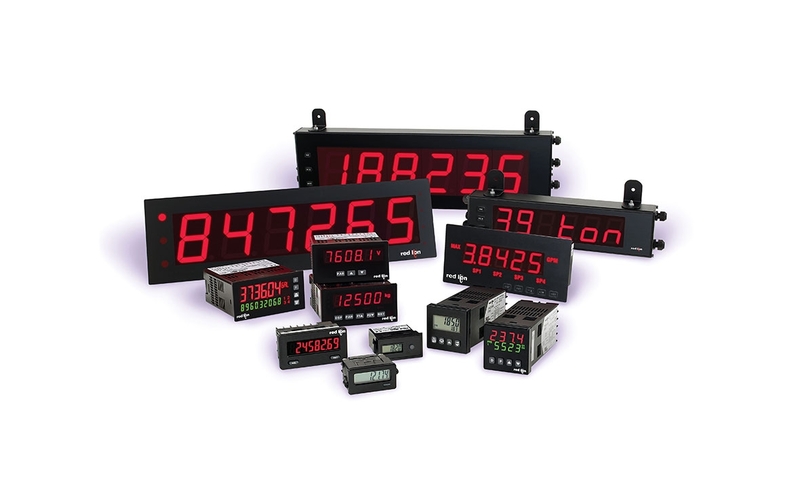 Red Lion offers a wide range of industrial panel meters. Brand equipment is available in a variety of sizes and features, including counting, rate, time, voltage, current, process, strain gage and temperature inputs. The brand offers standard models (PAX 2, PAX, PAX Lite and C48) miniature (CUB 5, CUB4 e CUB7). Red Lion provides a wide range of LED displays with multiple inputs and output cards (optional) to meet a variety of visual display needs. These devices are available with a character height of up to 4 inches (101 mm) and can display up to six digits. Red Lion's ProducTVity station lets you transform a simple LCD or plasma into a productivity control screen or an Andon system. Equipped with DVI / HDMI input, it allows you to collect, record and display key productivity indicators (KPIs) and status messages from production machines on any TV, monitor or projector. The ProducTVity Station can communicate with PLCs, motor drives, motion controllers, barcode scanners, etc. In addition, it can also be expanded with digital and analogue input/output modules for sensor connections. Red Lion provides a variety of automation solutions for controlling and acquiring data, from industrial controllers and RTUs, to PID controllers, I/O modules and data acquisition solutions. 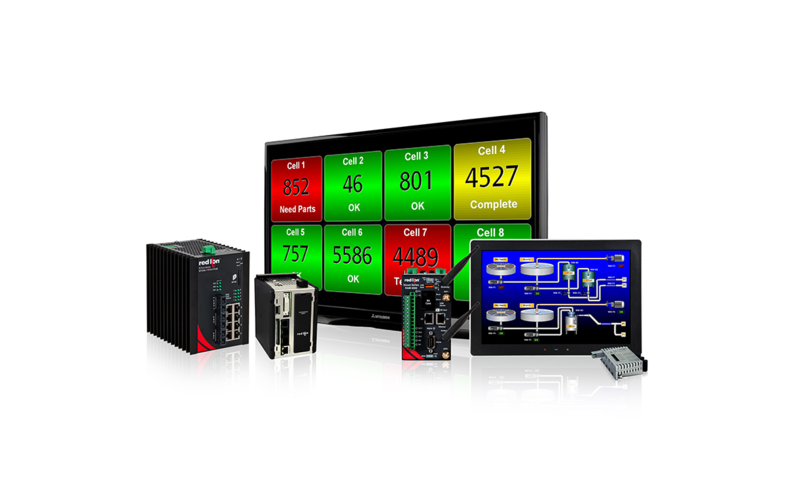 Red Lion I/O modules provide a simple monitoring and control system for remote locations. The brand offers two models, suitable for harsher industrial environments. Red Lion delivers high-performance products, with an elevated number of features for applications that require protocol conversion, including Data Station Plus and the modular high-density controller, to help optimise integration time and costs. 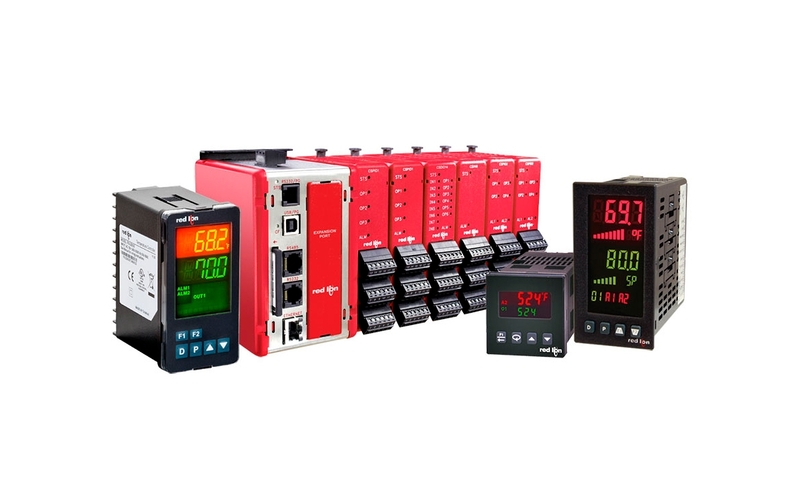 Red Lion industrial control products range from rugged controllers and modules with IEC 61131 control capabilities to RTUs, ideal for advanced automation environments. Brand controllers provide the necessary control for the toughest industrial applications, regardless of location. Red Lion provides a wide variety of current sensors, to work in conjunction with panel meters and controllers. The brand offers analogue, digital and process-specific sensors.